Info Former Deputy Governor of the Central Bank of Nigeria, legal advisor to the UN Criminal Tribunal for Rwanda and WHO executive. Currently professor of political economy at Tufts University. 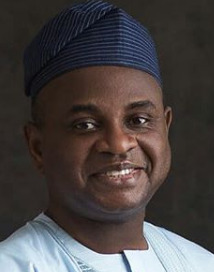 Moghalu launched a campaign for president of the Nigerian Republic under the platform of the Young Progressive Party in February 2018.